Sat Nam Foundation is committed to seva, for through service, one can find ultimate peace. One hand washes the other just as all four legs support the table. Together, we are capable of co-creating magic. Sat Nam Foundation is partnering with Sat Nam Fest to further develop the volunteer program at all festivals. 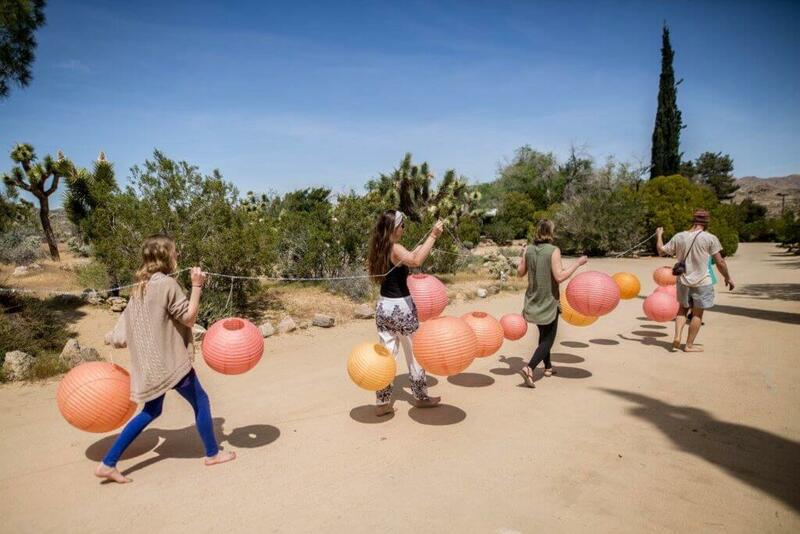 The foundation will now be recruiting individuals who wish to support the Kundalini Yoga family through service in the form of running the volunteer program onsite at Sat Nam Fest. Teams will be created based on the needs of each festival. In return for providing volunteer service, Sat Nam Fest will donate festival passes to volunteers and a percentage of festival profits to Sat Nam Foundation. Volunteers are encouraged to take an active role with Sat Nam Foundation beyond Sat Nam Fest. We are asking everyone that volunteers for the festival to serve a few hours directly for the foundation. Individually, we have different resources, connections, and skill sets. If everyone gives a little bit of their time and individual strengths, we can surely move mountains together. We would love to see how creative our volunteers can get! Some may choose to teach a donation class or gong bath that supports a specific campaign, while others may use their marketing background to raise awareness of Sat Nam Foundation through social media. The options are infinite. I’m very excited for this change, as it feels like we have an opportunity to increase our outreach, expand our community, and connect resources that may not have been brought together otherwise. We are living in a modern society that thrives off of collaboration! With this program, I hope individuals feel empowered to take initiative to serve a cause they truly believe in. I have been involved in Sat Nam Fest for the greater part of six years – both as a participant and sevadar. The more I serve, the more the festival gives back to me – through smiles, hugs, laughter, and fulfillment. It has been a pleasure leading various teams and witnessing my teammates’ unique experiences. The volunteers ‘see’ the festival from a different angle compared to the average participant. We become a small family within a larger family. There’s a comforting feeling that comes along with volunteering, as well as a deep satisfaction as the festival successfully unfolds. For the past year, I have been actively recruiting volunteers and overseeing the volunteer program onsite (while still climbing up a ladder or two!). I’m honored by this position, as the the individuals that show up to volunteer never cease to amaze me. 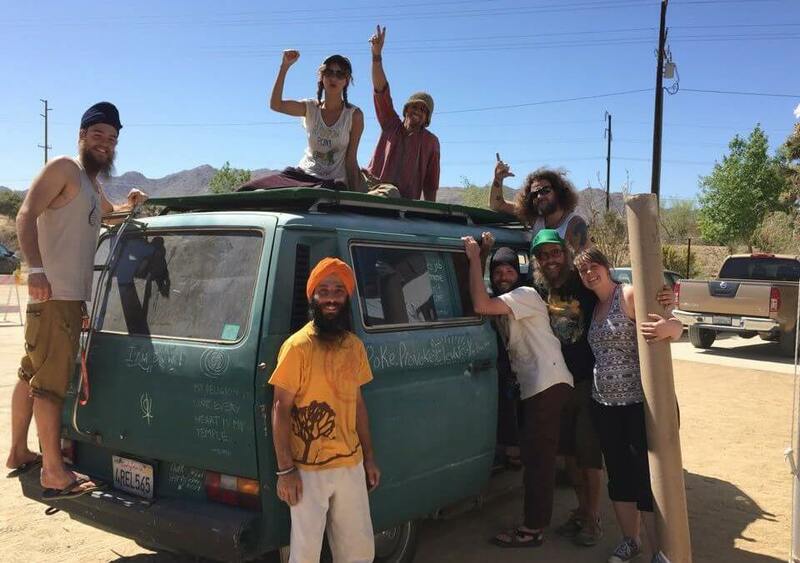 Many give 100% of their heart to service, working as a team to complete an array of tasks; all the while, chanting, practicing yoga, and uplifting one another. I am truly in awe of the unconditional acts of service and teamwork illustrated throughout the festival. This is one of many reasons I continue to come back to Sat Nam Fest. I can only encourage you all to give service a try! Whether it be with Sat Nam Foundation or your local soup kitchen, you are sure to have an authentic experience – especially if you can keep an open heart and stay humble! 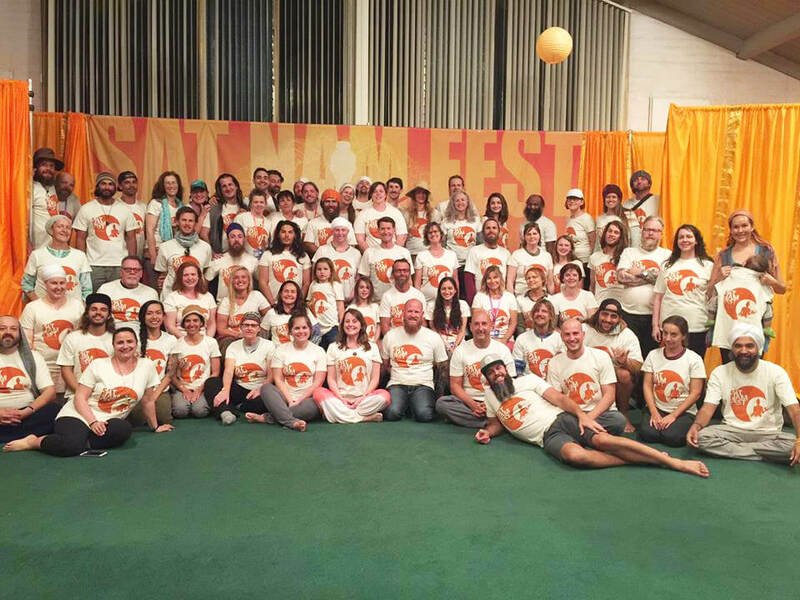 Our volunteer program at Sat Nam Fest continues to evolve and the family continues to grow. Together, we will accomplish great things – while dancing, singing, and celebrating life!